- 21mm throw for extreme polishing – results. - Due to the excenter / orbital drive there is hardly any risk of damaging any painted surface. - Removes safe and fast; wash – marks, scratches, swirls and many more paint – imperfections. - For professionals and enthusiasts. The No Swirls! XTREME S21 DA Polisher is the evolutionary big brother of the known No Swirls HP! V2 in a re - designed and more ergonomic shape than ever before. Developments are going fast in the autodetailing – industry. After the well – known rotary – buffer the DA – Polishers in 500W and 880W made a big step forward and opened many perspectives of what all can be done with “only” an orbital polisher. In the last 2 a 3 years (we’re now in 2014 when we’re writing this) we saw a few hybrid – polishers which took the best from the rotary – buffer and orbital – polisher in an own and unique concept. These polishers combine the power of the rotary – buffer to remove scratches and swirls and the orbital movement of the DA – polisher to finish light compounding – scratches and marring to deliver bright, scratch – free and swirl – free results. This last generation of hybrid – polishers is getting more affordable and we are proud to present you our No Swirls! XTREME S21 DA Polisher. The unique throw of 21mm brings a large scale of coverage, every turn the axle spins and makes the backing - plate and pad move around. This throw can be set up to 4800 RPM. Imagine how many movements are being made with such a large coverage! The outcome is nothing short than amazing, in combination with a polishing or light - cutting Hex - Logic – Pad and a V34 or V32 Hybrid Compound you are able to remove for example (difficult) scratches and swirls from ceramic clear - coated paint (known as hard paint) in maybe only 1 pass (1 pass: forth and back in vertical direction + forth and back in horizontal direction). Finish off with the V36 Hybrid Polish on a finishing Hex Logic Pad (like blue) with another pass and you´ll see a corrected and bright surface, just like you desired. With the 21mm orbital throw of The No Swirls! XTREME S21 DA Polisher there is hardly any risk of burning your paint due to too much friction compared with what a rotary buffer could cause when being used incorrect. This means you can correct OEM - ceramic – clearcoat - painted cars like Audi, Mercedes, BMW, Volkswagen and many more in less time then working traditionally with the rotary – buffer and DA – polisher. The No Swirls! 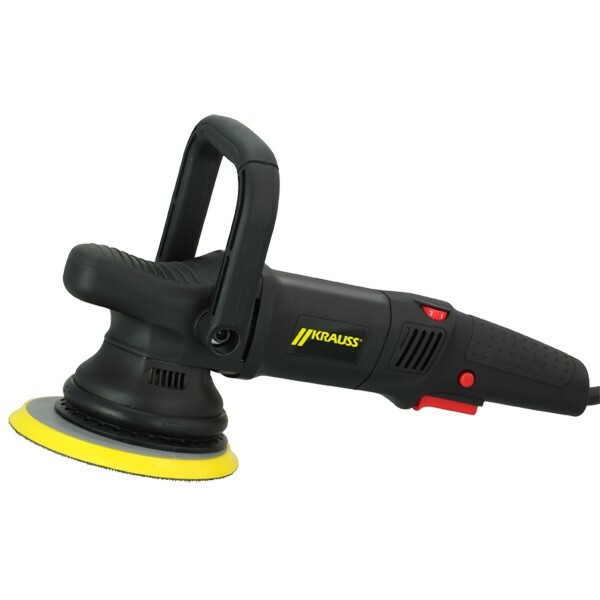 XTREME S21 DA Polisher is foolproof to handle, the design is 100% safe, fast, easy to use and ergonomically shaped. There is not any part of the design that can be a discussion about on how to use it. The accelerator is designed in a “handle – position” which you can trigger with your index and middle finger. The automatic – drive can be switched on at the same time with your thumb. The speed – setting is design on the top position so you can use it with your thumb while triggering the accelerator with your fingers. The end – part where you hold it with your hand is shaped like you’re the form of the palm of your hand and finished with a non – slip – coating so you can hold it “like a glove”. The front – end is designed with a surf – tail which is perfectly shaped for your second hand to hold comfortable and steer / maneuver it exactly where you want this No Swirls! 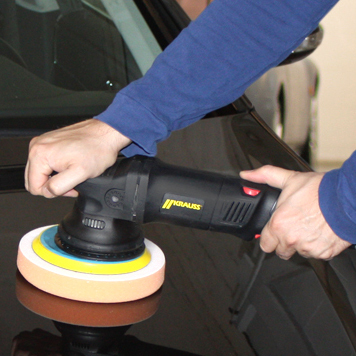 XTREME S21 DA Polisher to go over the surface and deliver the best paint – correction possible. 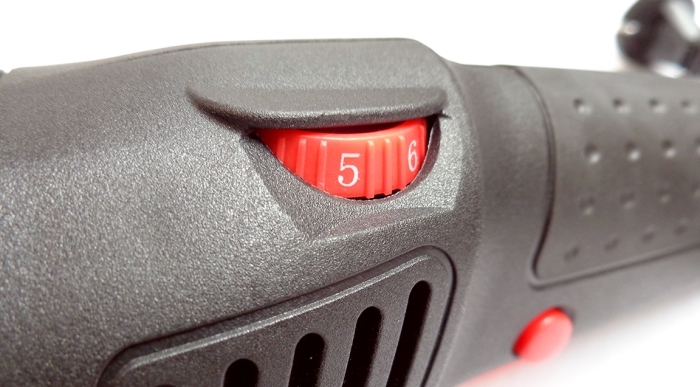 Almost all common DA – Polishers are cool and effective but when you use it for many hours a day you would be pretty tired afterwards due to the vibration both 500W and 880W are giving you. This No Swirls! XTREME S21 DA is designed with a contra – weight which solves the vibration and is really a major step forward. This makes you can use this No Swirls! XTREME S21 DA for a long time without being tired of the vibrations. The No Swirls! XTREME S21 DA Polisher is supplied with 6 speed zones which makes it ideal for every job, from polishing on swirls and hologram’s to applying your favorite waxes and sealants. Every speed – setting is being controlled by a slow – start – system. This let’s you control the build – up of speed easily and makes that product – sling of compound / polish can technically not happen anymore. falling back in revs anymore! Tool to re – assembly the backing – plate. Extra set of cole – brushes. Multi – language instruction – manual.